John Harris II, formerly a business unit general manager at Raytheon (NYSE: RTN), has been promoted to CEO and vice president of business development for Raytheon International, the missile maker’s international business organization. The appointment is effective immediately and he succeeds Thomas Culligan, who will retire from the company Dec. 31 after a 12-year career there, Raytheon announced Monday. Culligan will remain with the company as a senior adviser until he retires. Harris will oversee global business strategy, government relations, sales and marketing in his new position. “As our company continues to expand internationally into both new and existing markets, our business development and international operations are at the center of our global growth strategy, ” said William Swanson, Raytheon chariman and CEO. Harris, a three-decade Raytheon veteran, most recently served as GM of the company’s intelligence, information and services business, which formed out of the consolidation of the former Raytheon Technical Services Company and the intelligence and information systems business. 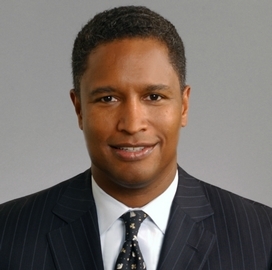 He assumed the role of president at RTSC in 2010 and has also served as VP of contracts for the government and defense businesses and as Raytheon’s VP of contracts and supply chain. Before joining Raytheon in 2001, Culligan oversaw defense and aerospace operations at Honeywell International and held executive positions at AlliedSignal and McDonnell Douglas. He previously served as legislative director and chief of staff for Florida’s secretary of state.